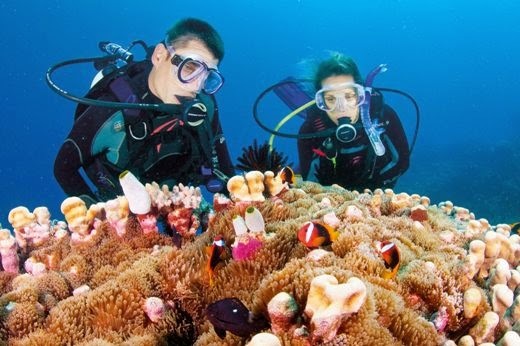 Great Barrier Reef diving trips are world renowned and with this recognition are extremely popular, attracting a whole abundance of divers, from the inexperienced to professionals, who want to witness the beauty of the reef for themselves. The pristine waters create the perfect diving conditions and provide optimum visibility for both divers and snorkeller's on the reef. 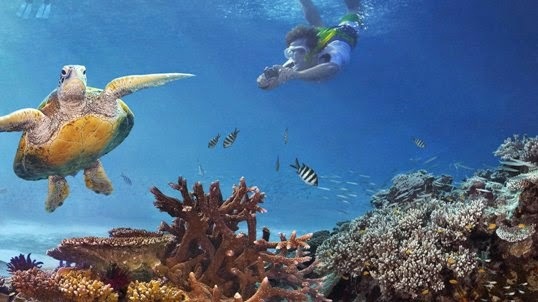 Great Barrier Reef diving trips and Great barrier reef snorkeling excursions are truly unforgettable experiences. The vivid underwater landscapes of the Great Barrier Reef are truly awe-inspiring. The large coral fans, soft coral gardens and hard corralled walls will take your breath away with their bright colours and marine inhabitants. Green turtles, Stingrays, dolphins, giant clams, vibrant starfish and anemone clown fish, of Finding Nemo fame, all call the reef home. The abundance of tropical marine life is truly staggering and diving in this underwater world is a somewhat surreal but truly magical experience. Diving trips down under can cater to both beginners and those who are already experienced divers and range from day catamaran trips to live aboard cruises. Live aboard cruises combine diving in the famous natural landmark with stop offs at some of the Great Barrier Reefs tropical islands, the most famous being the collection of Whitsunday Islands and Green Island. Day trips also schedule time to stop off at these paradisal locations. Whitehaven beach found in the Whitsunday's has been hailed as the world's most beautiful beach and its soft white sands are so refined they feel more like icing sugar than they do sand. There are perfect view points which overlook Whitehaven Beach and from them you can see the spectacular views out over the ocean. The turquoise waters merging with the white sandy shores create truly spectacular patterns which never fail to strike visitors with their beauty. 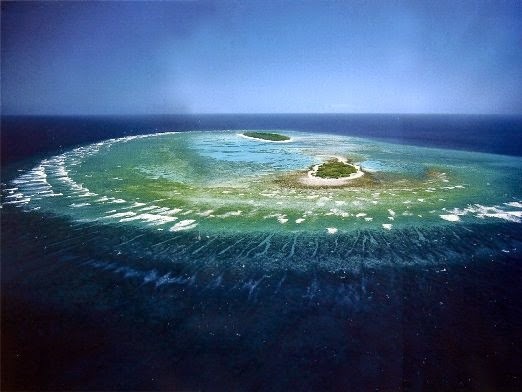 Green Island is famously unique because it is the only island on the Reef with an inland rainforest. Exploring the rainforest, lying on the pure white beach or snorkeling in the sea is a perfect way to spend the afternoon on this secluded island in Great Barrier Reef.